I get so many spam SEO emails, I don’t even know what to do with them. I usually delete them. After hitting [DEL] 6x a day for 20yrs I have finally decided to start adding them to this website. I will just paste them in the comments section below as they show up. How do I know this is spam? Basically, any “SEO agency” that emails you is spam. Good SEO people have people crawling to us on a daily basis and we do not need to sell worthless services for $69/mo. If you see them below, you know they’re idiots. 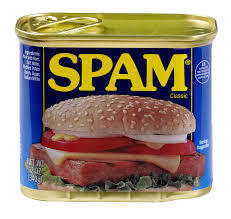 I was posting the spam emails blow, but I have since changed my mind to post just the titles. I do not want Google to think I am offering any of these services; they are so scummy I do not want their text on my site! My company can help you add 1, 2 or 3 new SEO accounts to your agency each month. We generate numerous leads who are specifically interested in speaking with Online Marketing Consultants: They’ve wrote us in the last 24 hours, and are expecting to hear from someone (possibly you). If adding 1, 2 or 3 new clients is something you have the capacity or desire to do, just reply, and I’ll have someone get in touch to show you how we generate leads, as well as pricing. Can I send new customers your way? How would you like to get your company in front of 250,000 targeted prospects each month? Our company has a new and proven method to increase website traffic, leads and sales. Using our Contact Page Submission (CPS) Service, we can place your company in front of 250K fresh prospects for a promotional rate of $99 per month. Contact us at 1 (888) 421-**** for complete details! We look forward to getting your company in front of some new prospects. Pay only when we rank your keywords on top….